A legal battle between Google and the United States Department of Justice is heating up as the Internet behemoth challenges the Obama administration’s warrantless requests for personal user data. Google has been opposing the National Security Letters, or NSLs, documents sent to telecommunication companies in secret that compel them to provide information about subscribers to the government. The Justice Department does not need to warrant or subpoena the information, instead relying on a Patriot Act-provision that allows Federal Bureau of Investigation offices around the country to request data by stating only that it is required for a national security matters. Because NSLs are filed under seal and in almost all cases are accompanied by a gag order that restricts the recipient from speaking about the request, little information is publically known about the process. On Friday, CNET reporter Declan McCullagh revealed that Google’s attempt to shut-down 19 NSLs it received ended with a federal judge saying the company must honor 17 of the government’s requests. “A federal judge has ruled that Google must comply with the FBI’s warrantless requests for confidential user data, despite the search company’s arguments that the secret demands are illegal,” McCullagh wrote early Friday. McCullagh went on to say that the decision was made following a closed door court session held May 10 in San Francisco, California. According to his sources, US District Judge Susan Illston rejected Google’s attempt to modify or throw out 19 of the NSLs they’ve received while leaving the opportunity for two of the requests to be squashed. “It wasn’t a complete win for the Justice Department, however,” McCullagh added, noting, “Illston all but invited Google to try again” by saying the company failed to raise arguments “specific to the 19 NSLs at issue.” Google will likely narrow their complaint to more specifically contest the requests for those 17 orders, while Illston asked the government to “provide further information” prior to making a decision about the other two. Only hours after McCullagh wrote of the closed door hearing, he published a second article revealing a separate installation in the long-standing fight between the feds and Google. As it turns out, the recent meeting of attorneys in San Francisco conducted in secrecy wasn’t the only legal episode involving the two as if late: McCullagh wrote that the Justice Department filed a lawsuit against Google in New York on April 22 asking a federal judge to force Google to comply with their requests. “Immediately after the FBI’s New York field office sent an NSL on April 22, the bureau filed a ‘petition to enforce’ in Manhattan federal court on the same day, an abrupt and arguably undiplomatic move that Google says did not give it a chance to either comply or exercise its legal right to seek judicial review,” he wrote. McCullagh added that Google asked for that lawsuit to be rejected at the time, citing the case happening in San Francisco. Judge Illston refused their warning, according to CNET because the government’s issue “is more squarely raised” in the New York litigation. Judge Illston ruled in March that NSLs are unconstitutional, but the Department of Justice filed an appeal immediately after her decision. Until that matter is settled, Google is expected to respond for the still standing requests for user data pertaining to the 17 accounts presented by the DoJ. Wired reported previously that 300,000 NSLs have been sent out since 2000, and just this year Google began publishing limited information on the federal requests it receives. 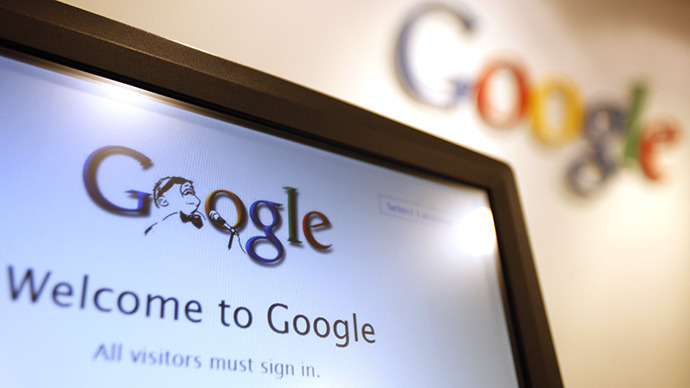 Google said they received letters for between 5,000 and 9,000 user accounts between 2009 and 2012.